Thanks to the efforts of Greenpeace, Germany, Aldi Süd, a leading global discount supermarket chain with almost 10,000 stores in 18 countries, has banned eight bee-harming pesticides. Pesticides do not simply stay in they fields once sprayed —they run off into nearby water resources, are ingested by farm animals and linger on our plate until they become ingested by us. Yum. This ban is an important step forward in ensuring our food choices provide us with the nutrients we need and nothing else. Aldi Süd is the first big retailer in Europe to ban pesticides from domestic fruits and vegetables produced for their markets. 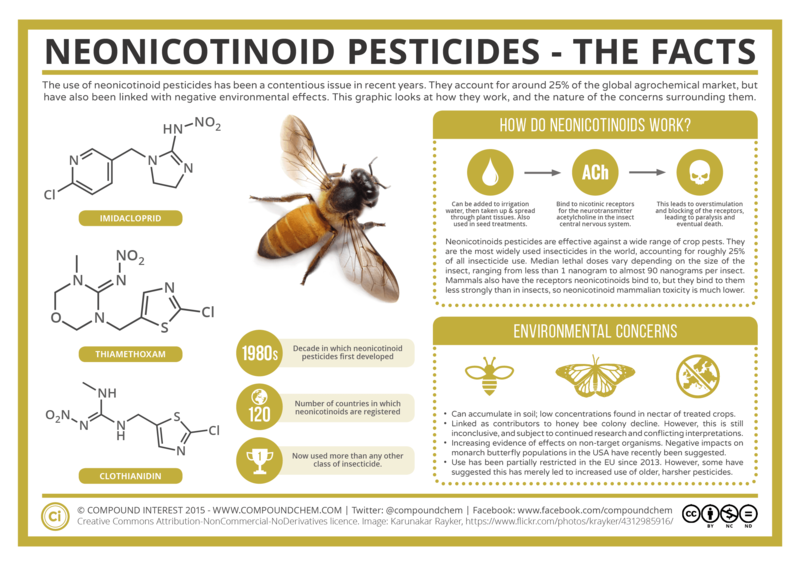 The German company made it a requirement on January 1 for its suppliers to phase out the pesticides most harmful to bees, including some of the group of neonicotinoids, it stated in a letter to Greenpeace Germany. The environmental organization urges other supermarkets to phase out hazardous pesticides in fruit and vegetable production and to support farmers to switch to ecological practices. “Aldi Süd shows that the toxic dependency on pesticides can be broken and in this sense becomes a pioneer in the retail sector. Other European supermarkets are now called upon to follow this first step,” says Christiane Huxdorff, Ecological Farming Campaigner at Greenpeace Germany. The eight chemical pesticides to be phased out by Aldi Süd are thiamethoxam (used in lettuce and endive), chlorpyrifos, clothianidin (used in kohlrabi, herbs, Brussels sprouts, head cabbage, cauliflower and kale), cypermethrin (leek, head cabbage and leguminous vegetables), deltamethrin (cauliflower, peppers, eggplant, zucchini, cucumber, pea, head cabbage, tomato and lettuce), fipronil (only exceptional authorizations for potato fields), imidacloprid (applied to apples, peaches, apricots and lettuce) and sulfoxaflor. Greenpeace tests in 2015 showed a widespread use of pesticides in fields and plantations, which also end up in our food. Compliance with the minimum legal requirements is not enough, as interactions between different substances, for example, are not taken into account. More than 100 000 consumers, gardeners, and farmers have already joined the movement on the Greenpeace online platform supporting ecological farming.